Description: This beautiful keepsake urn has a finely threaded, secure top-opening lid. It has a hand polished finish and is hand engraved. Purpose: "Keepsake" or "friendship" urns have become very popular, as more and more Americans choose cremation. These urns are used to divide the ashes of your loved one to share with every member of your family as well as your loved one's close friends. They are purposely small and designed to hold a portion of your loved one's ashes so that you can purchase 4, 6, or even 24; there is no limit. Matching medium or heart-sized urns may also be available to match this keepsake and if so, they will be shown on our web site www.bestpriceurns.com. We ship over 30,000 urns to funeral homes and individuals all over the USA every month, so our inventory is constantly rotating. If it isn't on the web site, then we currently don't have it. 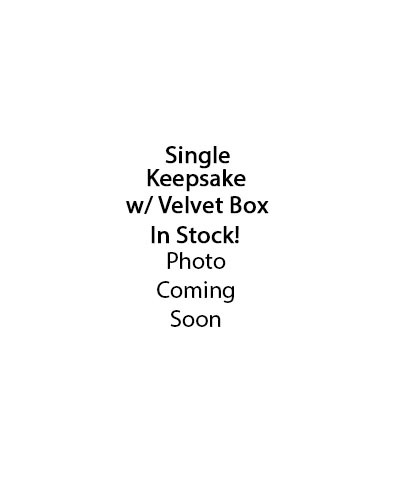 Our keepsakes are sold separately as well as come in velvet gift boxes of 4 or 6 keepsakes per box. If unsure, call (800) 474-5060 and ask your sales rep at BestPriceCaskets which urns have matching keepsakes.